Indonesia was my first experience immersing myself in a new culture, and it opened my mind to a world of thousands of different musical perspectives. This is where my musical education kicked into high gear. I arrived in Java in time to attend a performance of an ancient court gamelan at the old palace in Jogjakarta on Eid, the end of the Muslim holy month of Ramadan. The courtyard was filled with big crowd eating and socializing. I was not surprised by the casualness of the event, as I had attended other events in Bali that were also a combination of ritual ceremony, formal concert, and casual social gathering. This balance of formal and casual was also present in the music. 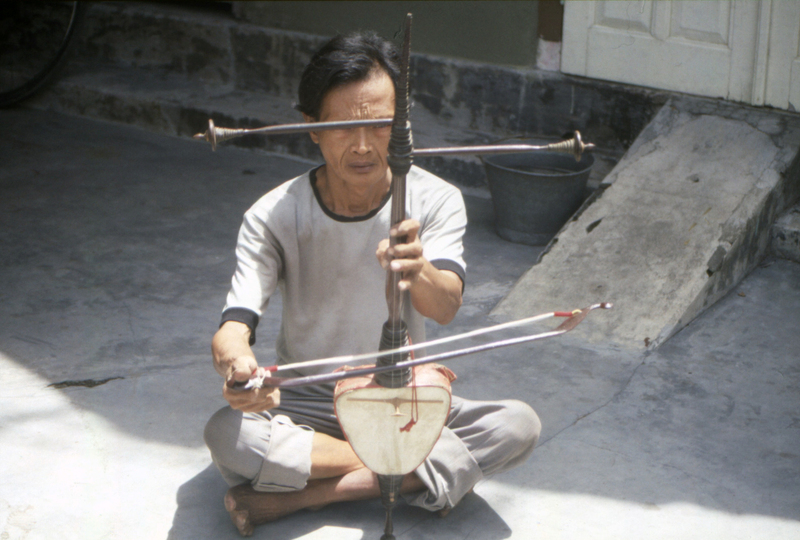 Gamelans are performed in interlocking parts at a slow to moderate speed in Java and at a lightening speed in Bali. Yet, that day I heard an old piece that was far slower than I had ever heard before. So slow in fact that there was a repeating section where a number of musicians that in theory should hit a note at the same time, but in practices they all hit the note at a slightly different time, creating a sort of haphazard staggered effect. This was a shock to my organized western mind and I initially thought they were a bit sloppy. But as they continued to play, I began to hear the beauty in this effect as it sounded very much like rainfall. The gamelan orchestra was split into two parts on either side of the courtyard, and would play sometimes separately and sometimes together. After going back and forth between them for a while I decided to just sit on one side and listen. I sat in the shade very close to the gong player, and had a good view of the orchestra. In some pieces the gong is played quite often, while in others the gong cycle is very long and the gong is seldom heard. I was watching the gong player during one of the latter pieces, where the time between gong strikes was almost ten minutes. The player struck the gong, and then casually turned around to his friend behind him and started a conversation, he then lit a cigarette, talked for a while longer and then got up and walked off. I saw him occasionally walking through the crowd stopping to talk for a while and then disappearing again. Hearing the gong cycle coming to an end I noticed him casually return and sit down, but with his back turned to the gong. He started talking passionately to his friends while pulling out his lunch and beginning to eat. He seemed to be oblivious to his rapidly approaching cue, as he became further involved with his conversation and meal. I became quite anxious at his apparent lack of concern and wondered if he knew how close his cue was, and there it was, and he hadn’t heard it! I was surprised no-one called to him to quickly hit the gong when he stuffed some food in his mouth to empty his hand, reached for the mallet, and casually leaned over and hit the gong over his shoulder at the exact “right” late moment. The mother gong is often played after the end of the rhythmic cycle, which in the west we would consider late. Sometimes in Indonesian music such a musical marker might be far later than a western musical mind would ever expect, and in this piece it was even later still. There is an expression in Indonesia called “rubber time” as time is a very relative concept there, stretching like rubber, and this certainly applies to music there. That day I realized that the strict adherence to time so important in the western world was not always necessary for music.